Make a difference in our clients’ lives by donating your time. You can choose the volunteer option that’s right for you, whether you like to work behind the scenes or enjoy interacting with clients. To volunteer, fill out our Volunteer Registration form. 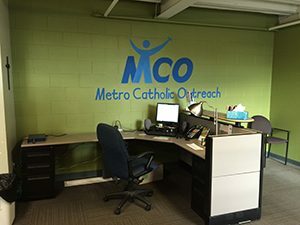 We are having issues with spam so if you do not get a response to your inquiry in 5 business days, please reach out to the MCO office at 319-739-5490 or email info@metrocatholicoutreach.org to check if it was ever received. We apologize for the inconvenience. Preparing and distributing food is a great way to make a direct impact on our clients’ lives. You can help sort food at local parishes and bring it to MCO. At MCO, you can stock shelves, prepare produce, package meat, assemble food baskets or distribute them. 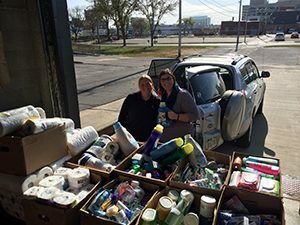 Volunteer to help Monday through Thursday from 10 a.m. to 12 p.m. or 1 to 3 p.m. 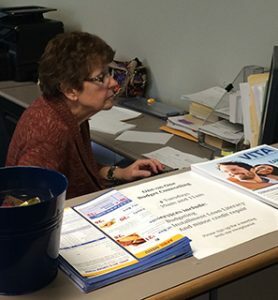 If you’re looking to meet our clients, volunteering as our receptionist is a great option. 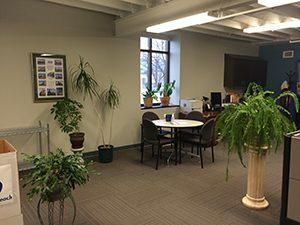 You’ll greet clients, answer phone calls, and make appointments or referrals as necessary, during our office hours. You’ll meet with our clients and their families to learn more about their situation and their needs. Then you’ll connect them with the right resources, whether that’s assistance from MCO or other community organizations. If you enjoy working outside, volunteer at our garden. You’ll help us deliver fresh, healthy produce to MCO for our clients. You can assist with soil preparation, planting, weeding, harvesting, general garden upkeep, or transporting food. 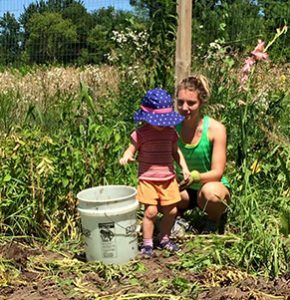 Choose to volunteer at the garden if you want flexible scheduling. For more information, call our main office. 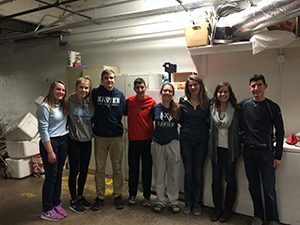 Volunteering as a group is a great way to spend quality time with others while helping your community. Bring your family, friends, youth group or coworkers. For information on volunteer options for groups, call us.